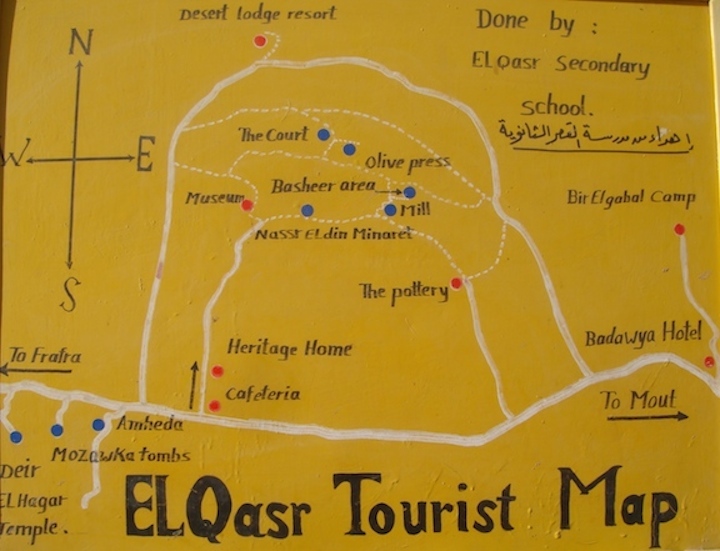 This was our 7th site to visit on our Oasis trip of 17th February 2014. This was an amazing ancient city to visit. It was like stepping back in time. The houses, although very old still looked like they could be lived in. The streets were wonderful and still bare the places where once there were streetlights from burning oil. The whole city was built to protect itself from invaders. There are many large street doors that could quite easily be close to block off the advancement of attackers. It was not so much of a spooky or ghostly city but one that could have been occupied recently. 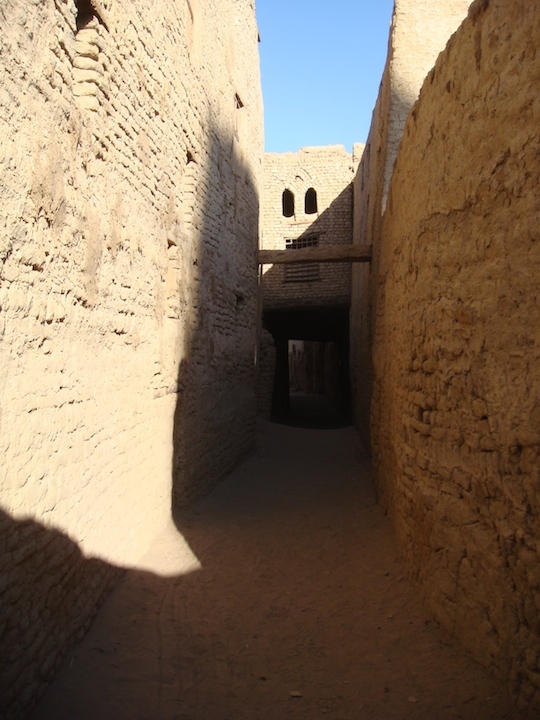 Qasr Dakhla, situated to the north-west of Mut and 22 miles north of Dakhla, is one of the fortified Medieval Islamic towns often seen in the oases and said to be the oldest continuously inhabited and the best preserved settlement of its time in Dakhla. It rests on the Sioh Ridge, nestled beneath the pink limestone escarpment, which marks the northern limit of the oasis. 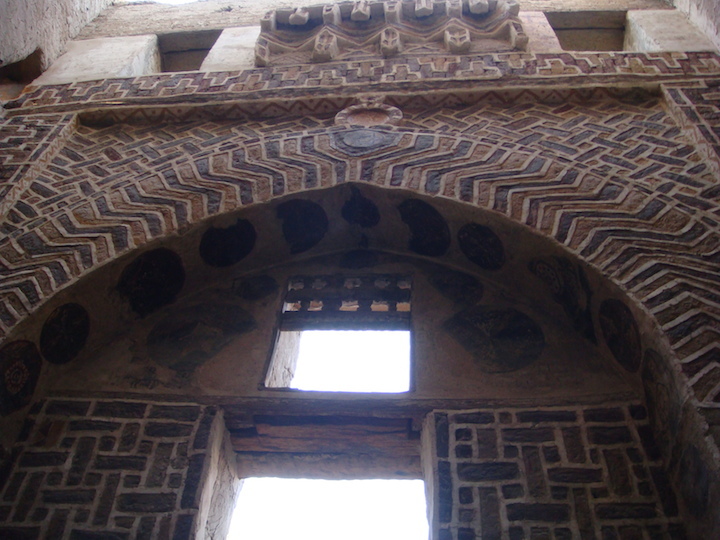 It is one of the Islamic landmarks in the new valley, as its buildings reflect the Islamic architectural Style. 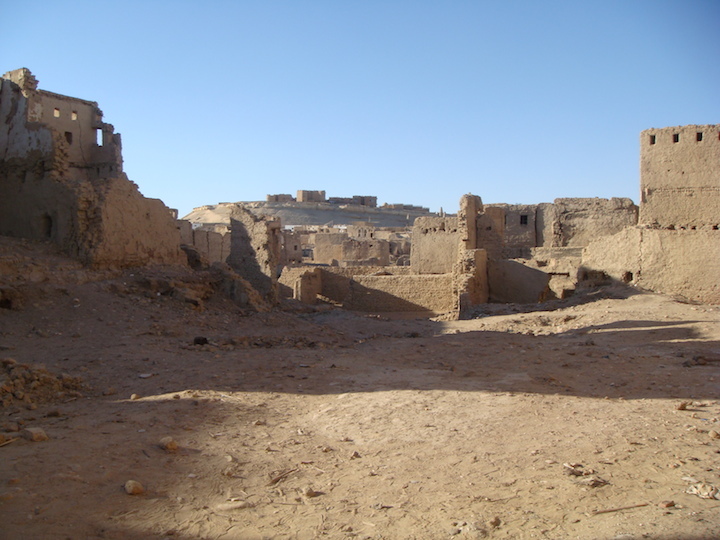 The Islamic town el-Qasr (meaning ‘the Fortress’) was probably founded around the end of the 12th century AD by the Ayyubid, over the remains of an earlier 10th century AD Roman Period settlement. It extends through to the Othman period. 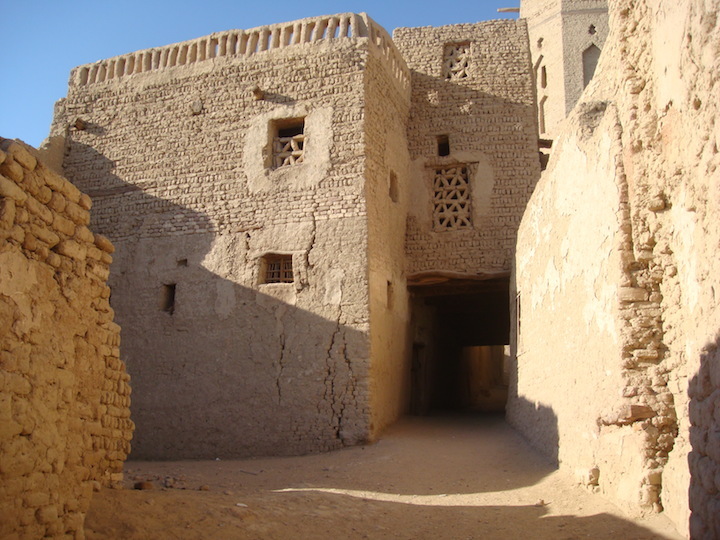 During this time the fortified town is thought to have been the capital of the oasis, constructed in a defensive position against marauding invaders from the south and west. Like the Medieval town of Mut, its streets were divided into quarters, which could be closed off at night by barred gates. 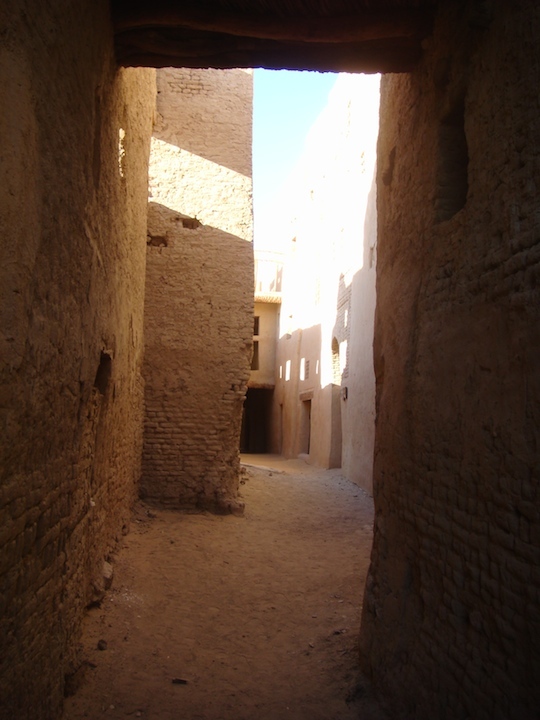 In terms of architecture style of this city, it is regarded as an integrated city that consists of many roads, paths and lanes that are named after its inhabitants, as the Butcher’s Lane, Al Habania Lane and the Qurashe’s Lane. 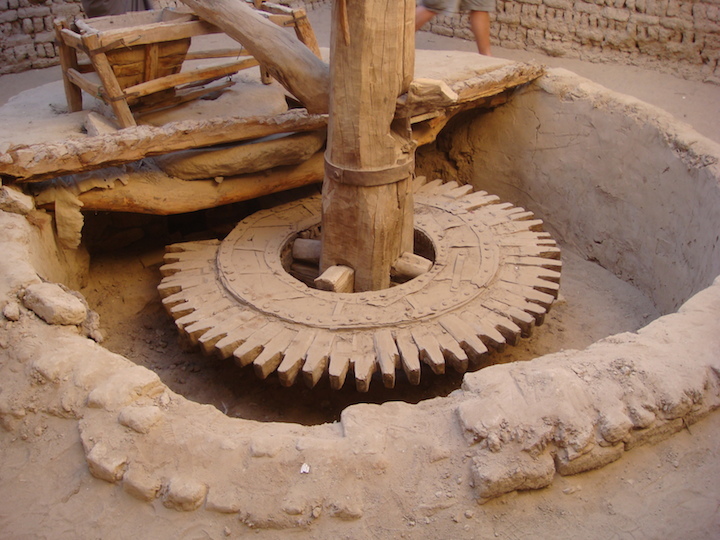 It has many houses that are arrayed distantly, so that palm branches can be placed and coherently covered with mud. 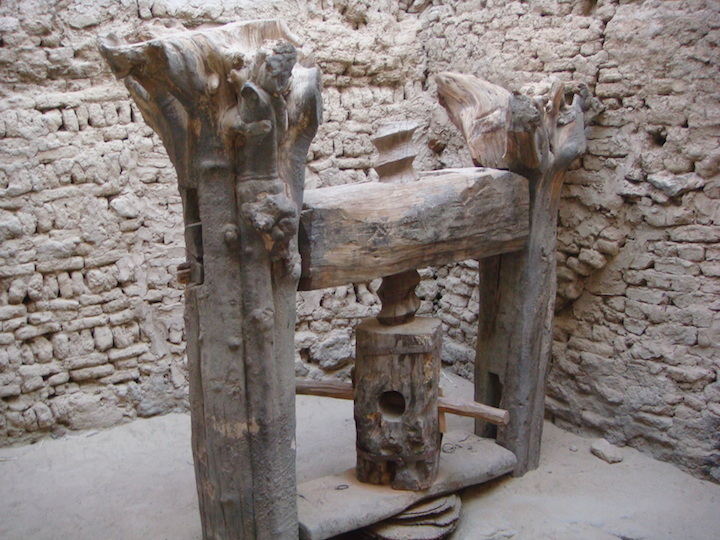 The city contains a Mosque from the 1st Century – Higri, with wooden minaret dating from the Ayyubid period. The minaret is three-storey, 69 feet high and has wooden thresholds decorated with verses from the Quran at the entrance. The city is still in a good condition with all its houses still standing; a library, the full Mosque, and the little tiny streets are all built of mud-bricks and wooden rafters. 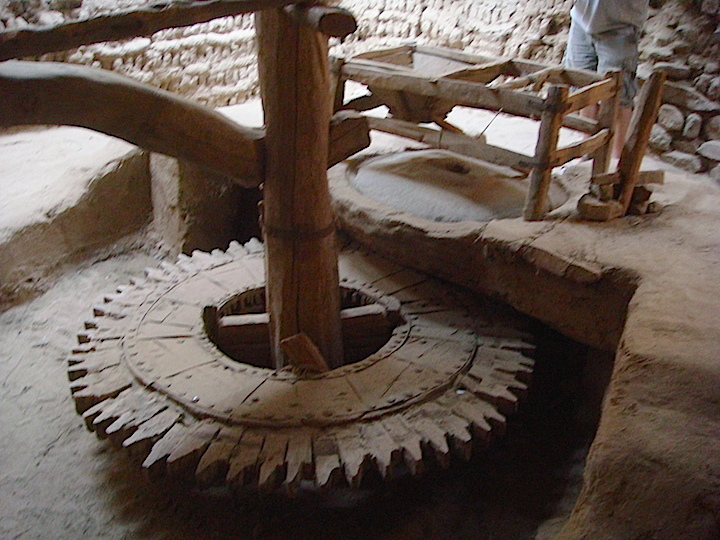 There are also some Corn Mills and Oil Presses. 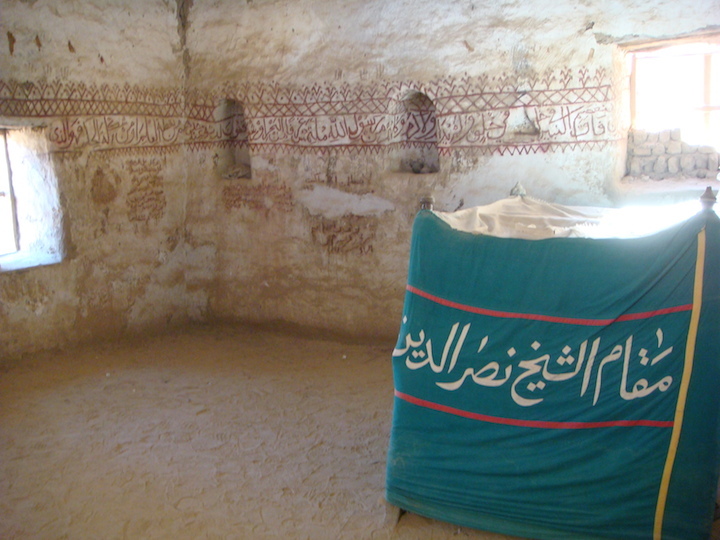 Mausoleum of Sheikh Nasr el-Din. The streets have changed very little since medieval times. 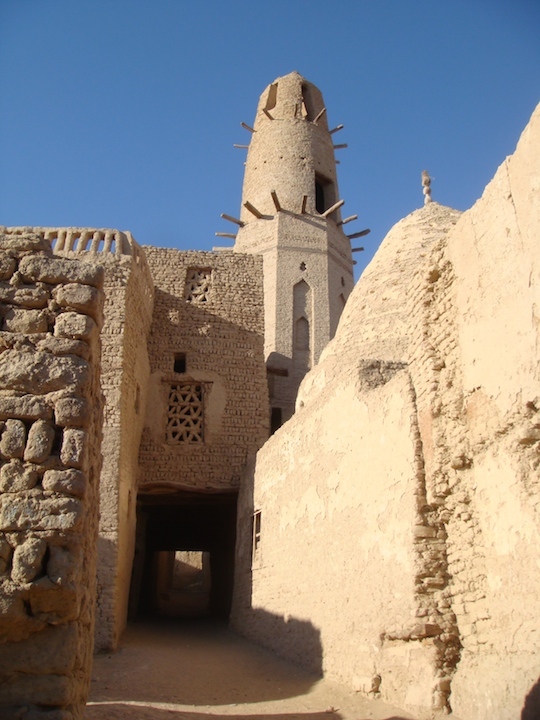 The minaret is the only part of the original mosque from the 11th or 12th century to survive, the rest of the buildings having been destroyed and rebuilt in the 19th century. Attached to the Mosque is the Madrasa where the scriptures were taught to young boys, now renovated and still used as a school and a public meeting place. 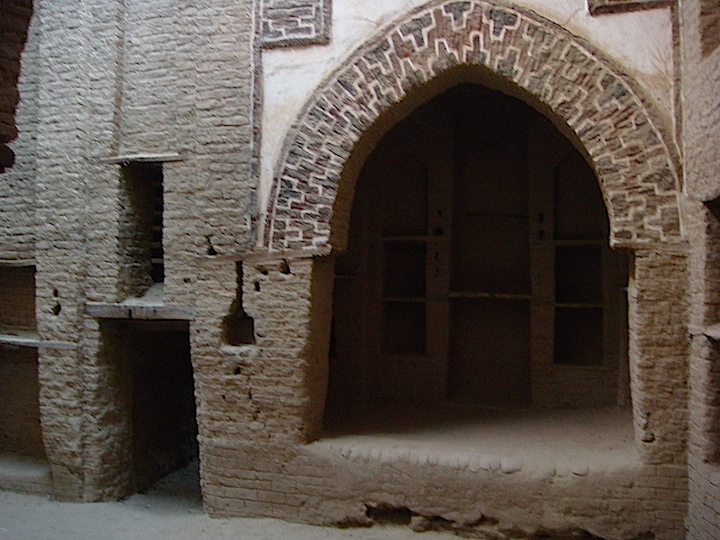 The Madrassa and the restored house of Abu Nafir are open to visitors. 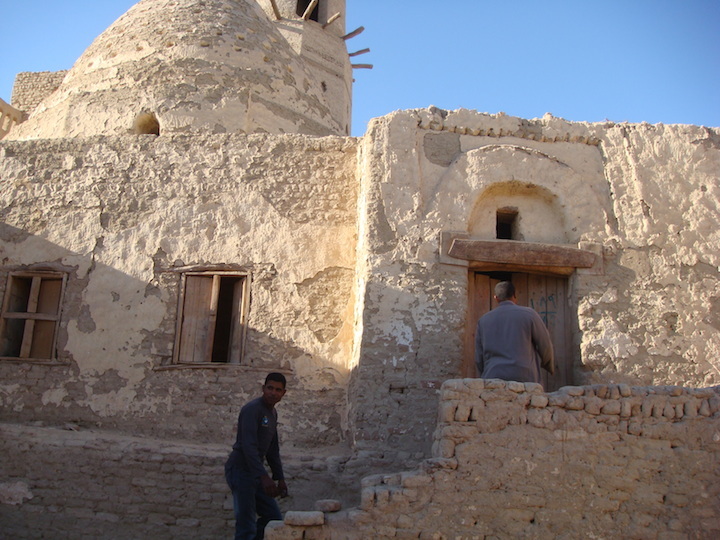 This tall house, typical of the Medieval Islamic period, with its heavy carved wooden door, is believed to have been built over remains of a Ptolemaic Period temple. Its doorjambs depict hieroglyphs, presumably from re-used blocks. 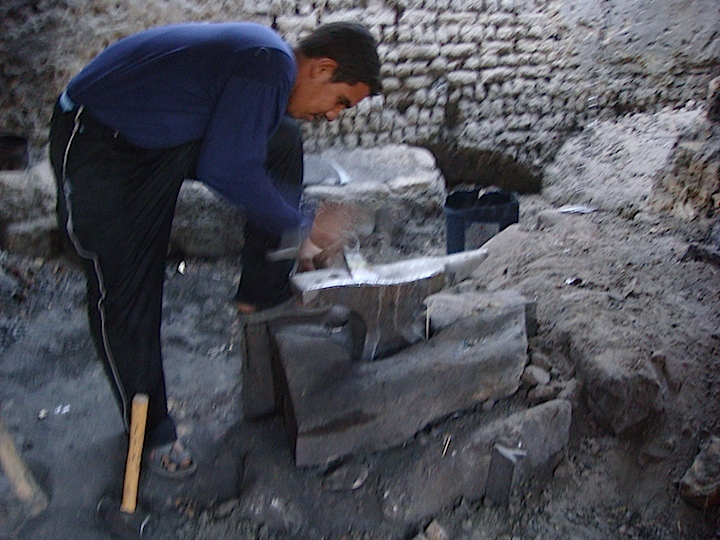 For me, what was really lovely to see, were the present day craftsmen still exercising their trades in the city. There was a working blacksmith who was making items for the nearby village as well as for tourists. You could purchase hand made tweezers, pliers, chisels and key rings. I watched while another man was repairing a saw blade. There are some shops in this city selling their wares, dates, sweets and souvenirs. I particularly liked the dates and the hand made woolen gloves. 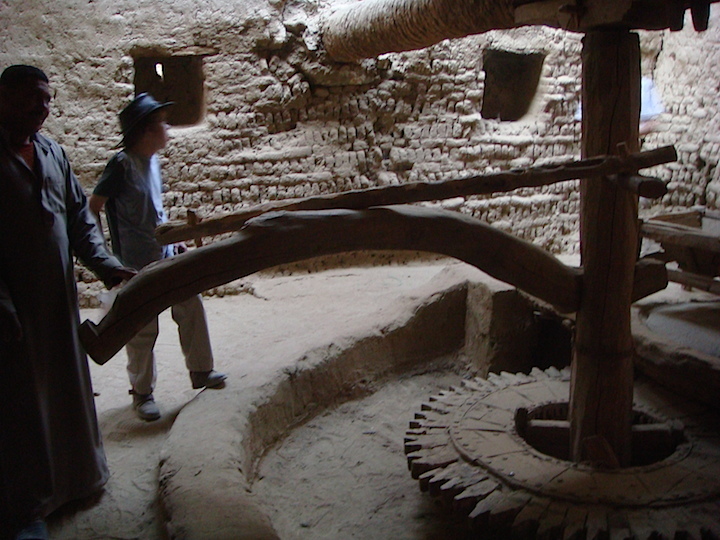 The town still has around 700 inhabitants; many follow the traditions of craftsmen from a time gone by. 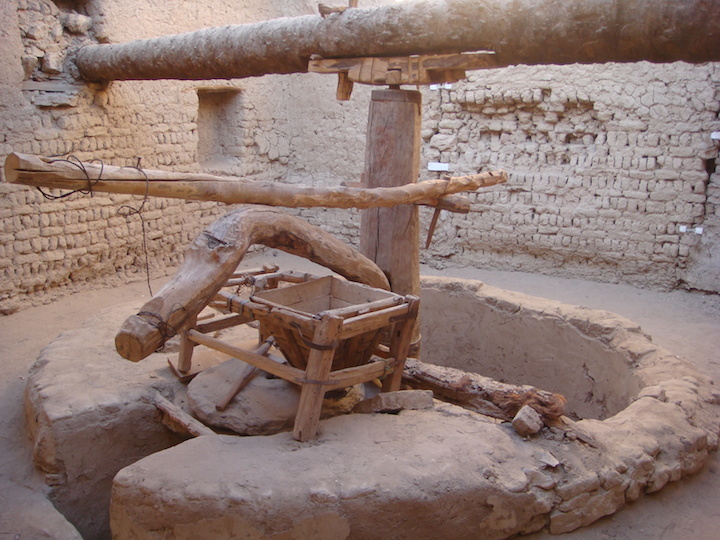 Today the town is renowned for its traditional earthenware pots and palm-leaf basketry. 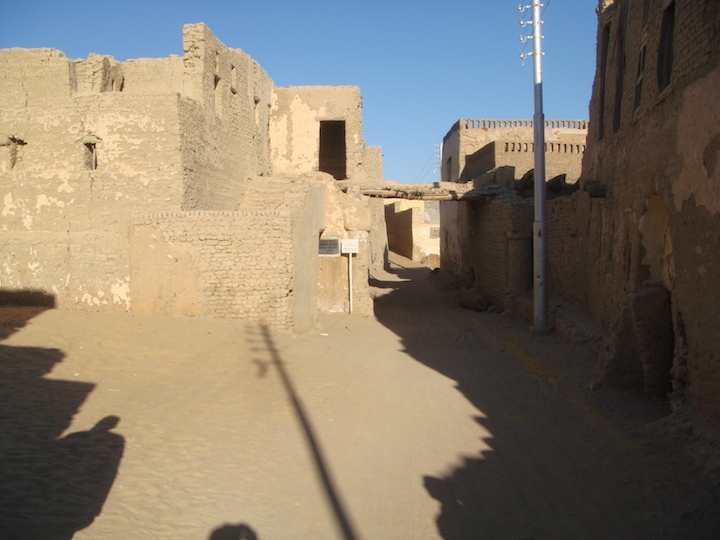 However, villagers who move out of the old town are no longer allowed to return and no new building is allowed there as the Ministry of Antiquities eventually hopes to turn their deserted houses into a tourism feature.